A logo can solidify a brand, catch attention, and help you stand out from the crowd. 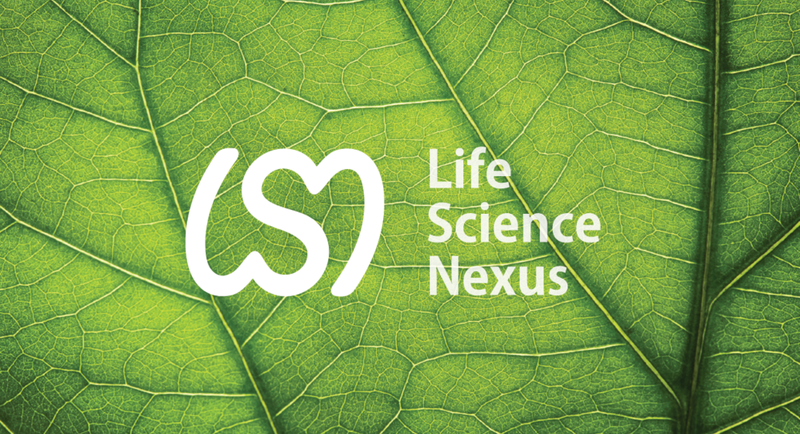 This is a logo concept we developed for Life Science Nexus. Basically, a brand identity is what your customers and prospects see. It’s a set of visual assets, but these assets have to achieve a goal. Your goal is making a great first impression before your prospect ever contacts you. If you’re a business owner this should matter to you, because a brand identity can bring big benefits. BrandHoot’s brand identity gives it a consistent, professional look no matter how it’s communicating. When you drive down the road, you’re surrounded by brand identities. Signs, logos, and even architecture have strong associations to the brands they represent. A brand identity helps customers and prospects to perceive you as a qualified professional. Given that fact, it’s important for every business to create one. Let’s look at a simple process for creating an identity for your brand. Early sketches for Life Science Nexus helped us work through all of our ideas. Every brand identity starts as a simple sketch. When creating your brand identity the first thing you should do is gather everything that you already have. This includes your name, logo, website, and any other visual assets you already have. Doing an inventory will help you see what’s left to be done and give you a head start. Next think about some fundamental assumptions that you have about your brand. What do you think your clients’ challenges are? How do you think that your brand is different from the competition? Write down your answers before creating your brand identity. Once you’ve created your brand identity, then you’ll see whether or not your assumptions were right. Set aside three hours to go through the brand sprint process. If possible, find a neutral facilitator to keep the process on track. Use the slide deck you create as a reference when making brand identity decisions. Create a one-page document for listing all of your brand identity guidelines. If you need inspiration, then take a look at these gorgeous style guides. Look at your logo and its variations. Can you eliminate unnecessary variations? Can you better align it with your brand’s values and personality? (check your brand sprint slide deck for this) Add all acceptable uses of your logo to your brand identity guidelines. Choose the colors that your brand will use. We generally recommend using one dominant color with a subtle secondary color. This is a simple and typically most effective option. However, some brands can make multiple dominant colors work together (such as Fedex). Add the selected colors to your brand identity guidelines; make sure to include the HEX and RGB values for easy reference. Select the fonts that your brand will use. Generally, you need a heading font and a body font. Each font has a different use and pairing. This handy guide can help you if you feel totally lost. Once you’re done, then add your selections to the style guide. Finalize your style guide and keep it on hand. Share it with anyone that does design work for your brand. This will keep your identity consistent and ensure your company is always true to itself. Creating a brand identity can be tough without the right resources. Contact us and we’ll answer your brand identity questions and discuss how we can collaborate on your brand identity project. Older PostWordPress vs. Squarespace: which is right for you?